Google has created a new “local news card” that is currently being tested in it’s latest innovation, Google Now, which has been integrated into the new Android smartphones and is also available for the iPhone through Google’s Search app. Google Now allows you to receive helpful pop-up or “push” notifications that give you information tailored to your everyday routine. The “manage your day” function allows you to schedule appointments, see traffic patterns before you leave for work, get one-touch navigation to your hotel or be reminded when to leave for a restaurant reservation based on current traffic conditions. The “stay connected” function allows users to keep up with their interests, news and vital information in categories like sports, movies, concerts, stocks and favorite media. The “be local” function gives users the inside scoop on transit, currency, popular places of interest and whats going on near you — this includes cool bars, nearby events and attractions and popular photo spots. “One thing we’re testing right now is a very local hyper-local news card, which is really useful – it teaches me things about my neighborhood. For example, I found out Miss Mexico came to my son’s school, I saw that Chipotle was giving out burritos, and someone was stabbed in the park near my house. It’s very, very targeted to you and your interests”. Quartz says its unclear whether Google will roll out the local news card for Google Now to the wider public just yet, but if the initial testing is successful, it seems likely that they will. Location based news by Google became available in 2008, and “news near you” was launched in 2011, which allows users to keep up with the latest news according to whatever city they’re currently in. Google Now goes a step further by using push notifications to give themselves the authority to pick and choose the stories they think will be most relevant to you. Can the “Local News-niche” be a Profitable One? Making a profit in the local news niche hasn’t been an easy task. NBC failed with its application EveryBlock, the Guardian did as will with Guardian Local, as did AOL with Patch. According to Quartz, local news may not be the greatest “profit center” for online companies to enter, which is why it may be perfect for Google to become the leading provider in this specific niche. Instead of piling all of the local news onto one site where users have to remember to constantly visit, Google brings the news to you in a chic, accessible manner. Making this local news more accessible allows users to experience more information without even having to think to look for it. FastCompany says that this isn’t the first time Google has plunged into the local news pool. Back in 2010, they attempted to link citizen journalism with local TV news channels, with their initiative uReport, delivering footage from a person’s cellphone to San Francisco’s ABC7 News’ YouTube page. This was unsuccessful because the demand wasn’t high enough to create website traffic. Google Now can be looked at as a much more advanced version of the idea uReport envisioned: Customised content delivered to a local outlet. But instead of having to find it, it finds you. Salvador Rodriguez of LA Times states that “this could be a boom for local news outlets, especially those geotagging their articles, as Google would present their stories based on location”. This means that the local news outlets who are more active in SEO will start to become more relevant when Google’s algorithms search for local news articles. The stories that are tagged are the stories that will get pushed. 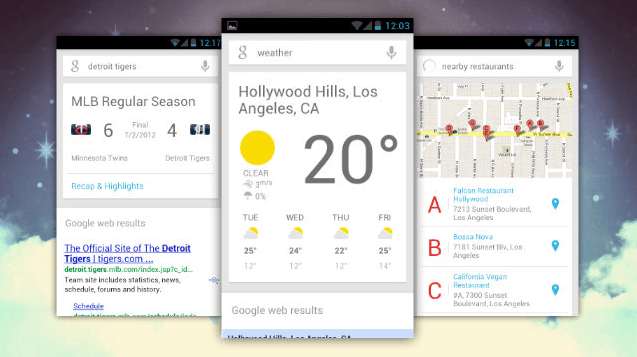 Google’s newest piece of hardware, Google Glass, could benefit from this new feature of Google Now as well. Expected to be released sometime in 2014, Google Glass is a pair of “digital sunglasses” that allow users to perform smart phone-esque functions, like taking pictures or videos, translating foreign languages, getting directions or the time, sending text messages or asking whatever is on your mind. 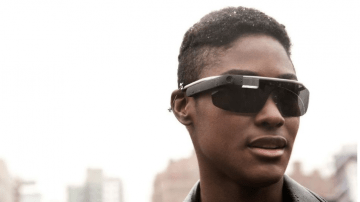 Integrating Google Now could be a compelling feature of the futuristic eye-wear and bring the hardware one step further. Users would be instantly notified on crucial local news that may affect themselves or their business.